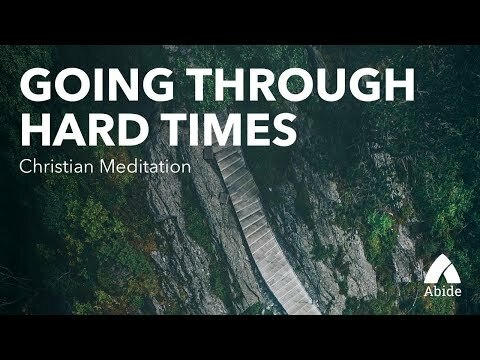 Join Abide in a guided Christian meditation & prayer about going through hard times & hitting a rough patch in life. It's the difficult moments when it's hardest to trust God, yet they are the times you must trust Him the most. During the meditation, we will share an encouraging Bible verse, James 1 12. The iPhone and Android apps allow you to customize your background music and search for the perfect meditation in our categorized library. The Abide app also includes journaling features. With 15 minutes of daily meditation, you can renew your soul. Gain greater clarity about your purpose and rediscover your joy. Experience less anxiety, stress, and worry. Most of all, experience God's overwhelming love for you.